First of all, the public now expects businesses and organizations to have a Web site — one that can, at the very least, supply basic information and a means of getting in contact. A Web site has become nearly as essential as a telephone or fax machine or printed brochure. Expand the effect of a print ad – With the addition of a Web site address to an ad, even a very small one, means that anyone intrigued by the ad can immediately access much greater amounts of information about your company. The effect is heightened when you add suitable photos to your site. You can share your expertise – A website with a business blog is a great way for you to share information about what you know. This gives prospective clients an opportunity to learn more about how you can help them. Visibility – Increasing visibility is one major factor that makes having a website important. Even if people have heard about your company, they may want to carry out research online first, before leaving the house. 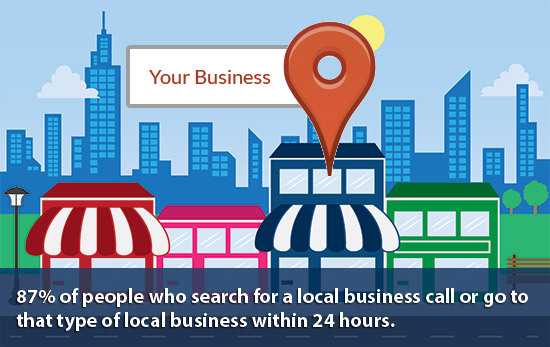 Provide a map and directions to your company’s shops or offices on your website so that visitors are less likely to have trouble finding the place. Accessibility – A website is online and accessible 24 hours a day, every day of the year. Because of this, your customers and potential customers can visit your site for support or information about new and upcoming products and services whenever it is convenient for them. Your website will act as an invaluable and always-available resource for information which would otherwise only be accessible during your company’s business hours. Q: WILL A WEBSITE MAKE MY BUSINESS IMMEDIATELY MORE SUCCESSFUL? A: Does a phone, or fax machine or brochure? All are tools for communication and promotion, but need to be used effectively. On the other hand, neglecting to have one of these tools can put your company at a serious disadvantage. No company operates without a phone. A Web site — and the services it can provide — is equally essential for a 21st century business. And with more people searching for businesses online and on their smartphones, companies without a site may be missing out on extra business. To really get the benefits of a website for your business, your site will need to serve as a professional online presence that conveys your credibility, showcases your solutions, and makes it easy for people to contact you. A business website can be created in a few days to a few weeks, depending on the desired level of complexity. If your business doesn’t have a presence on the Internet, you owe it to yourself to strongly evaluate the benefits. If you don’t know where to begin, ask some other local business owners about their websites and get one started soon. A simple website can procure additional revenue for your business and set it apart. Be sure prospective customers can find you in the way they want! Is $75,000 Too Much for a Good Domain Name for a Small Business?